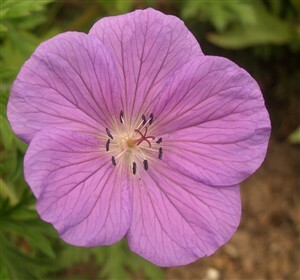 Geranium clarkei 'Raina' A very rare Geranium with steadily spreading clumps producing excellent attractive disected leaves and well held large saucers of purple blue flowers in late spring through summer. Easy and a delight. Hardy.